The homies at Murder Mitten Entertainment have announced a show happening in Kalamazoo, MI on July 7th. 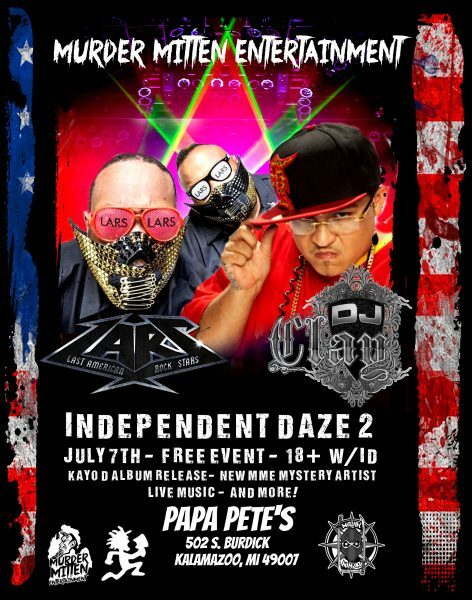 It’s called Independent Daze 2, and will feature performances by DJ Clay, and LARS among others! The best part about this show? It’s absolutely FREE to get in! 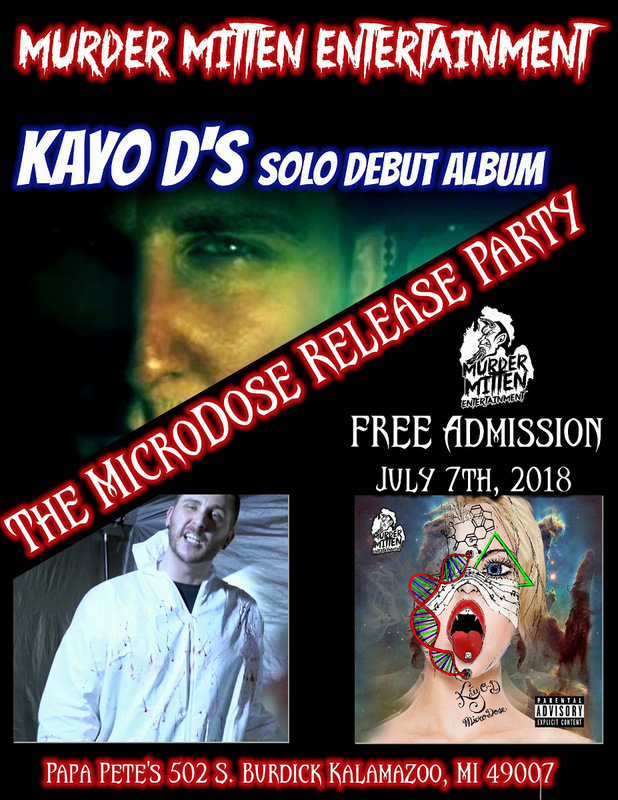 This event also doubles as a CD Release Party for the artist Kayo D! He will be releasing his debut solo project titled Microdose! It all starts up at 7 PM, and you must be 18 or older to get in! Don’t miss out! @mikeysnider, just fyi the flyer has been updated to include the logo. @HarryCox I mean they ain’t really next to each other like on the same flyer or anything, their logos are next to the Murder Mitten Entertainment logo. nah you’re right, I mean now you are, they were seperate flyers before now it’s one, they’ve changed it twice now. Eww, I liked it better when it was two separate flyers. I don’t like to see the hatchetman next to that MNE logo.